This Week we are joined by Bob Owens of Lone Duck. We make our best attempt at covering everything you need to know about training your puppy through getting them on their first hunt! It's a good one and I hope you guys enjoy it! This week we are joined by Ryan Lilly from Old Town Canoes and we discuss his crazy waterfowl adventures in Maine as they seek to waterfowl Hunt from kayaks and Canoes! This week we are joined by JT Calls and discuss all things turkey hunting with Turkey Season coming in across the nation! This week we are joined by Jason Wagner. He heads up the conservation work at Cheyenne Bottoms. Cheyenne Bottoms is the largest interior wetland in North America! Tune in and hear all about it! This week we are joined by the owner and creator of the Boss Shot Shell! 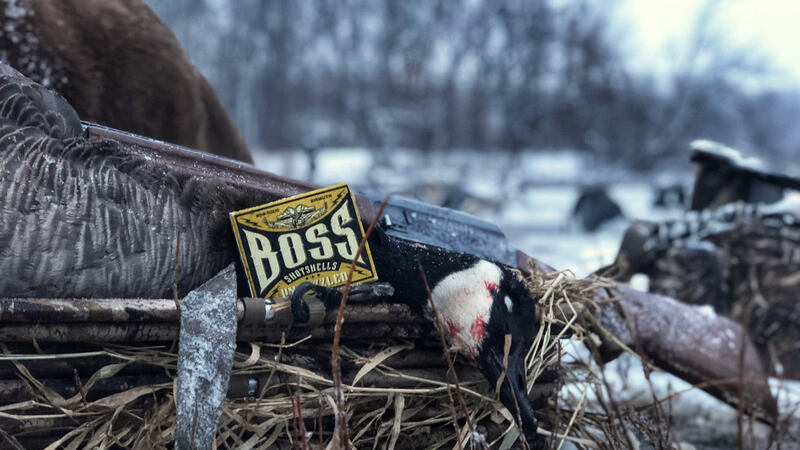 We discuss the ends and outs of their duck loads as well as their new Boss Tom Shot and much more! Lone Duck Outfitters - Expert Duck Dog Advice! This week we are joined by Bob Owens of Lone Duck Outfitters. We have a great time talking all things ducks and dogs! Welcome to the Duck Gun Podcast! We discuss Waterfowl (duck and goose) hunting weekly with like minded hunters. Tip, tactics and strategies to improve will be discussed along with stories and adventures from the field!